This portrait showcases my signature style with elephants, but I have never had a bull with such huge tusks closing head on to within three feet of my camera. It has the hallmarks of a studio composition, not something garnered by perseverance from the untamed dustbowl of Amboseli. I have waited a long time for this shot – six years in fact. Big elephants have sometimes come right or left of my remote camera and sometimes smaller tuskers have come head on, but this is the golden combination. Our eye is grabbed by the elephant and he won’t let go. I reckon those six years were worth the wait. 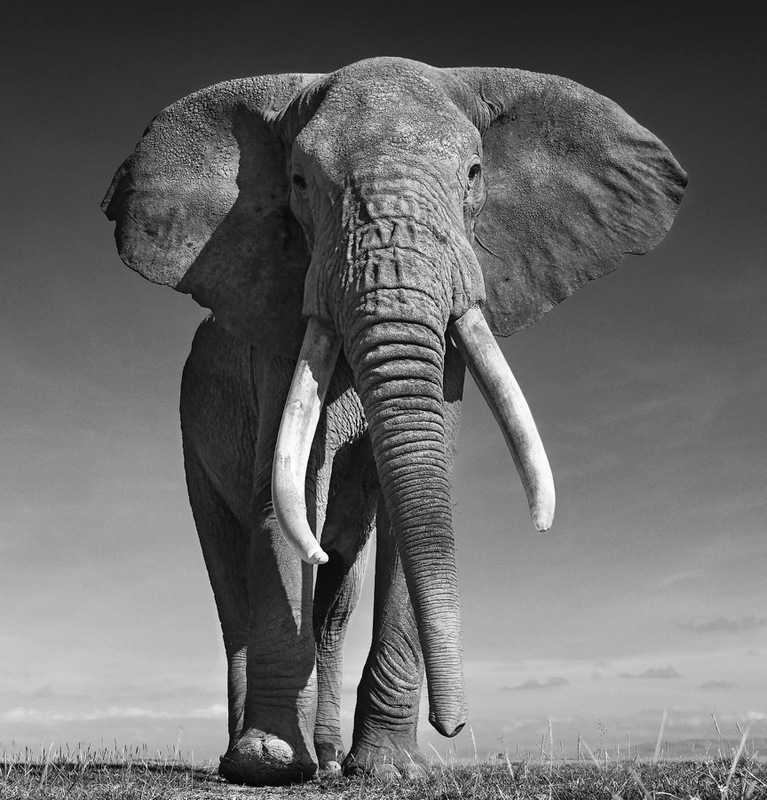 But far more importantly, the majesty of the elephant gives the photograph topicality and relevance. How on earth is the on-going slaughter of this magnificent primal species happening on our earth – on our watch? This is a picture that the world needs to see and I will do all I can for it to be emblematic. I wrestled with what to call this image. In the end, I felt the name must convey his sense of power and sovereignty. This elephant answers to no one in his community but he brings not just power to his role, but something perhaps less tangible – a mystique that demands our deference and respect. He is ‘The Don’.